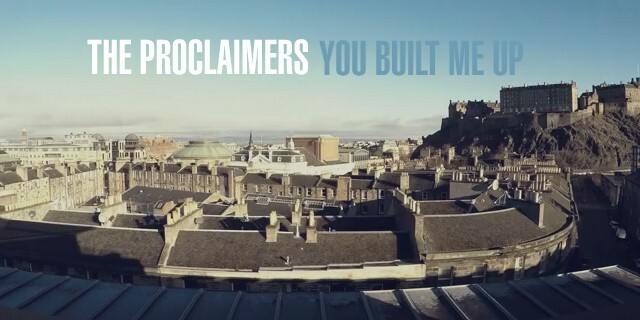 Very happy to have been commissioned to shoot the latest promo video for The Proclaimers new track ‘You Built Me Up’ from their 10th studio album by Cooking Vinyl records. The new album, ‘Let’s Hear It For The Dogs’, was released in the UK on Monday 27th April 2015. It was recorded at Rockfield Studios in Wales and produced by Dave Eringa who we love for his work with the Manic Street Preachers & The Who. On cameras were Tony Marsh & Alfie Marsh.